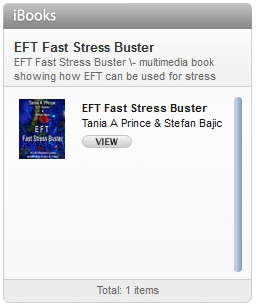 Panic Attacks are a very treatable problem using EFT. In September 2006, the BBC Inside Out programme aired documenting Andrea’s fear of flying and her prior history with panic attacks. Andrea has kindly submitted the following article which sums up the degree of her original issue and how EFT benefited her tremendously in helping her overcome it. “I suffered from anxiety and panic attacks for a number of years brought on by a combination of stress and past events sneaking up on me. The anxiety was mainly triggered by social occasions and places where there would be lots of people. Things got so bad that I found it hard to leave the house and would make up any excuse not to. I found out about Tania through a friend but never dared to call her because that would be like admitting I had a problem!! Things started to get worse and worse and I even found it hard to get the bus to work and would quite often have to get off and walk. This happened on the day I decided I needed to get help. I’d walked to work and still couldn’t shake off the anxiety and all day I really felt ‘on the edge’. I was terrified and had no idea what was happening to me. I came home and couldn’t calm down so that’s when I called Tania. Just from one phone call I immediately felt at ease knowing that someone else understood how I was feeling. I booked my first appointment and haven’t looked back since. Tania has a real presence and seems to know how you are feeling even if you cannot find the right words to describe it. Her voice is calming and she never seems fazed by anything you say. After my first meeting with her I felt an inner calm which I hadn’t had for a long time…I actually couldn’t wait to go back! Its amazing how much ground you can cover in one session, her techniques work really fast. 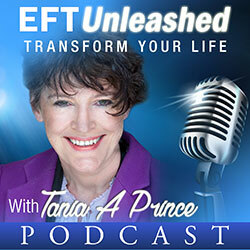 We used EFT, which I truly believe changed my life. Its so simple but so effective and you can use it anywhere at anytime. Just having the tools to cope has given me so much confidence. One of my biggest fears was flying. I couldn’t stand the thought of being in a confined space with so many people and being flown to a place I wouldn’t know. I worked with Tania and EFT to get me to the point where I could book onto a Flying Without Fear course. 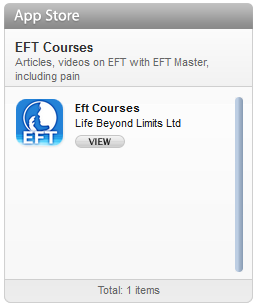 The day itself was really helpful but the one thing which got me through the day was EFT. I didn’t care about the funny looks I got while I was tapping, I just wanted to make sure I took the flight…and I DID!! I have flown several times since and can honestly say my whole life has changed. I’m so much more confident and actually enjoy challenging myself to do new things.